The Wolong Nature Reserve in southwestern China is home to about 10 percent of the world’s wild pandas, as well as a research center to breed pandas and lay groundwork for successfully reintroducing pandas into the wild. Sue Nichols, assistant director of theCenter for Systems Integration and Sustainability at Michigan State University, and Jianguo "Jack" Liu, director of the Center, contributed this article to Live Science's Expert Voices: Op-Ed & Insights. If Facebook is any gauge, pandas are an endless font of cute. But revelations about where pandas live and how they coexist with people are boosting their impact beyond more than the warm and fuzzy. China, like many developing countries, allows its citizens to live within the boundaries of nature reserves. This means that some of the most elemental struggles between nature and these local, human populations play out daily. Our center, directed by Jianguo "Jack" Liu, who holds the Rachel Carson Chair in Sustainability,has been working to better understand those relationships at Wolong since 1996. Liu, whose expertise fuses ecology and social sciences, has long viewed the reserve as an excellent laboratory because its truths have proven universal: Honor the needs of both people and nature - and acknowledge the dynamic, complex nature of that relationship - and sustainability is possible. Liu, along with other scholars in the field of sustainability from MSU and around the world, are applying the lessons they learned in Wolong to global challenges rooted in land use, trade, habitat conservation and resource and ecosystem service management. The researchers are bringing to bear the viewpoints of many disciplines - from ecology, plant and wildlife sciences to social, economic and behavioral sciences. The researchers, who are an international group of students, former students and collaborators, share Liu's holistic view of a world in which the fate of humans and nature are firmly entwined. They have published "Pandas and People: Coupling Human and Natural Systems for Sustainability" (Oxford University Press, 2016). The research was funded in part by the National Science Foundation and NASA. From those experiences, four key lessons stand out. Push and pull between wildlife conservation and human need define China's efforts to protect its treasured and endangered giant pandas. Well-intentioned policies to preserve or restore wildlife habitat often placed hardships upon the people who live in the Wolong Nature Reserve. Ironically, even love for pandas has proven dangerous. The tourism that grew from a human fascination with pandas degraded their forest habitats as trees were chopped down to cook food and build lodging for the tourists. A study published in the journal Science in 2001showed that panda habitat was degrading faster in the reserve than it was outside its borders. 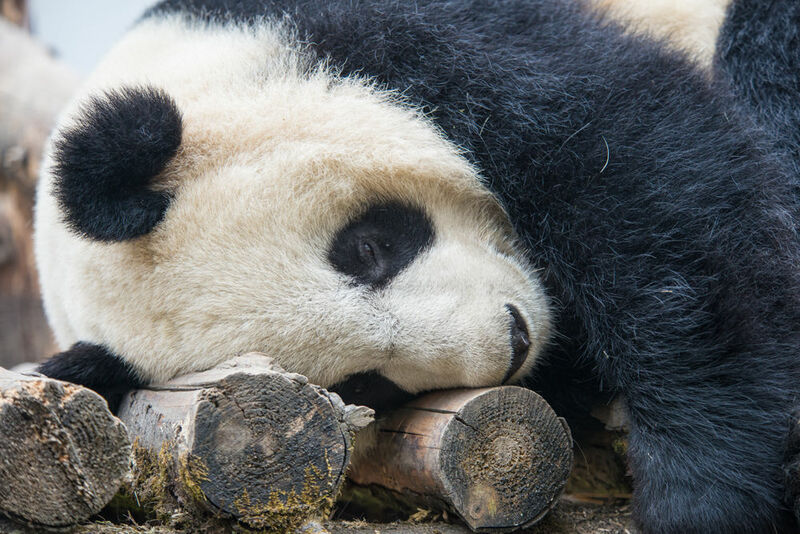 Liu and his colleagues used precise data from satellite imaging and on-the-ground measurements to shed light on where, how and why vegetation was disappearing - especially bamboo, the plant that pandas eat exclusively. The information brought about better habitat-protecting laws. Bringing in social science research helped reveal how people reacted to environmental policies as well as ways to engage, compensate or redirect people to curb harmful behaviors. But in small groups, participants can be overburdened. The researchers found the middle "sweet spot" to guide policymakers to shape effective participation. A path for recovery is emerging - one that demands a melding of sciences from both the human and natural world. Science is all about data points, though insight comes not just from doing research, but also from living it. In Wolong, the research team has dissected what motivates people to act in the best interest of the environment and how money plays a role in sustainability - when it motivates, when it doesn't and when other things matter more. For example, a study published earlier this year in the journal Conservation Biology showed that financial incentives had to be substantial enough to motivate people to trek into their mountainous forests to monitor for the illegal harvesting of trees. Residents who lived farther away and were offered less money were less inclined to participate. Combining the insight with research has helped parse out how people react to conservation policies. It has helped the research team craft productive questions to determine how the community members make their everyday decisions. Being present in the community also helps researchers tackle surprises. For example, in 2001, the Chinese government paid local households to switch from firewood to electricity to heat their homes and cook. It seemed to be an environmental win until multigenerational households found their own take on winning. For them, the subsidies per household made it financially sensible - and personally appealing - to split up the crowded arrangements and set up new, independent households. And that meant more households using more natural resources. Pinpointing the problem helped inspire the Chinese government to find new ways to make electricity affordable, including building a new hydroelectric power plant. The truths learned from 20 years in Wolong resonate in other parts of the world, even if the particulars are different. In China, benign pandas inspire adoration, but in Nepal, tigers, despite having their own fans, bring an element of fear. Pandas, after all, eat only bamboo. Tigers, on occasion, attack people. Yet applying the Wolong framework to Nepal may help preserve habitats while allowing the people who share the forests with native animals to thrive. MSU's research team has studied both people and nature in Nepal's Chitwan National Park. They've researched shifts in the number and composition of households, and the effects of sweeping changes like industrialization and globalization on rural areas and conservation. For example, as people venture into the park more frequently, tigers seem to shift their natural body clocksand move around more at night to avoid their human neighbors. This coupled human-and-nature approach also has led to important insights into why some policies that restrict access to forest resources have floundered as they run up against long-held traditions and practices. The result has been to open the door to new insights that should help to improve policies in Chitwan as they did in Wolong. The multidisciplinary methods that honor both nature and people are leading sustainability efforts around the world, whether they're used for the management of a nature reserve to preserve an endangered species, such as in Chitwan, or to understand people's attitudes toward black bears in East Texas to make conservation more effective. Understanding how the flora and fauna in Wolong coexist with the people who live there offers a model for how a web of interconnected people and environments spans the globe. In today's world of hyperconnectivity, "remote"doesn't mean so much anymore. The research group is turning its attention to how tightly bound the world is. They are starting to connect the dots to prove that what happens in China affects people on the other side of the world. For example, between 2004 and 2010, 63 Wolong pandas have been loaned to zoos in China and elsewhere around the globe, such as Washington, D.C., and San Diego, California. Those seemingly simple transactions of furry creatures and good will have broad consequences: Pandas mean jobs - from the pandas' keepers and veterinarians to those who grow and deliver their mountains of bamboo, to the people who broker and manage the loans and manage the public appearances of the pandas. Pandas move merchandise that is manufactured, delivered and sold. Guests travel nationally and internationally to visit these imported celebrities. Money changes hands over and over all over the world. So imagine what it means when a major earthquake hits "remote" Wolong, as it did in 2008. The shake was felt 'round the world. That's just one example of telecoupling - socioeconomic and environmental interactions over distances. There are new and faster ways of connecting the whole planet, from big events like earthquakes and floods to tourism, trade, migration, pollution, climate change, flows of information and financial capital, and invasions of animal and plant species. Telecoupling is about connecting human and natural systems across boundaries. Telecoupling is a way to express one of the often-overwhelming consequences of globalization - the way an event or phenomenon in one corner of the world can have an impact far away. In effect, systems couple - connecting across space and time. Indeed, the research that originated in Wolong is resonating across the globe. The researchers have underscored the point that the lifestyle choices we make have an impact far beyond our front door. They've discovered that the number of households in the world is more significant than population size, because of the great burden it places on the environment. That means that factors like moving out of our parents' home, divorce and having lots of children or none, do affect the natural world around us. And the researchers have witnessed successes with programs that don't just dictate, but also offer people partnership and guidance. Wolong's panda habit is stabilizing. China's forests show signs of recovery. And those successes shape new opportunities to learn that both people and nature must be able to thrive to survive. And that research is continuing to show how that's possible -following a path that started in the land of pandas. Follow all of the Expert Voices issues and debates - and become part of the discussion - on Facebook, Twitter and Google+. The views expressed are those of the author and do not necessarily reflect the views of the publisher. This version of the article was originally published on LiveScience.com.